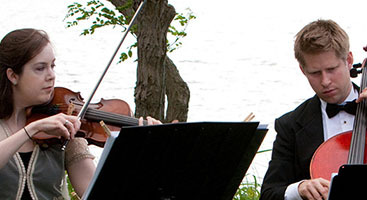 …we were very lucky and blessed to get Gretchen Heller and Perfect Harmony String Ensemble. 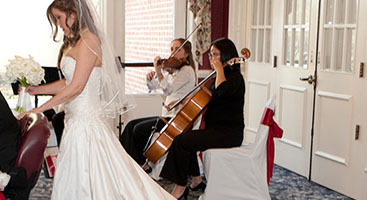 For my daughter’s wedding we wanted a string ensemble to play during the ceremony as well as the cocktail hour. Let me start by saying we were very lucky and blessed to get Gretchen Heller and Perfect Harmony String Ensemble. 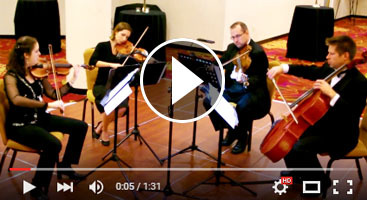 My daughter and fiancé decided on a trio with the 2 violins and cello, and were blown away from the extensive repertoire list offered by Perfect Harmony. They chose beautiful, traditional music for the ceremony and had fun changing it up to more modern for the cocktail hour. We also had Perfect Harmony accompany a family member (an accomplished flutist) they had never worked with before. After coordinating everything via email and phone and with just 30 minutes of practice prior to the ceremony, they played Ave Maria…and it still gives me goose bumps just thinking about it. It was simply beautiful! And so many of our guests commented on how great they were and how they added to the ambiance. I most highly recommend Perfect Harmony to any couple who wants that “something special” on their wedding day!